It's a different take on the concept of Co-Op Casual Friday today. One of the goals of this series is to discuss kid-friendly games. Halo may not be the greatest choice for young kids, but it is definitely appealing to my own ten year old son. I wrote about his love for Halo in a previous article, but much has changed since then. We'll take a look at my family's history with Halo, and how it has become a meaningful experience for us. Forgive me if I sound like a "proud poppa", but... well, I am! In the two plus years since I wrote the original article, my son has grown up quite a bit. There is a big difference between a seven year old boy and a ten year old young man. Early on in our Halo career, Connor was willing to just watch his big brother and I play Halo 3 together, or sit on my lap as I played Halo Wars. But as his older sibling turned sixteen, and became more and more involved in school functions and texting girls, Connor eventually took over as my primary co-op partner. This means Connor plays a lot of Halo with me, as it is our FPS series of choice. I realize that having a kid his age playing an M-rated game could be interpreted as bad parenting. My wife and I are generally very conservative in our expectations for what types of movies and TV shows our kids watch. Playing a very violent game where soldiers are killed left and right is not the typical fare we approve of. We make exceptions for Halo games for several reasons. The fact that the player is fighting against aliens of various races is perhaps the strongest reason why we consider it acceptable. 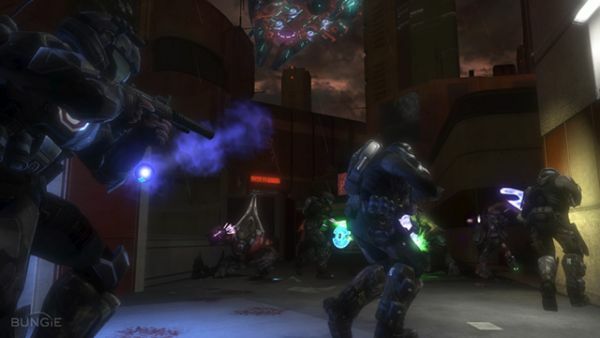 Shooting a wicked-looking brute with exploding purple shards fired from an unearthly weapon is far different than sniping a human enemy in Call of Duty, for instance. The Halo franchise is futuristic science-fiction, which deliniates it even more clearly as a fantastical game, not a genuine combat simulation. The fact that I am always playing with him, closely monitoring the experience, is another reason why we allow Connor to play. The storyline itself provides talking points about many issues, particularly the notions of sacrifice, helping others, and teamwork. 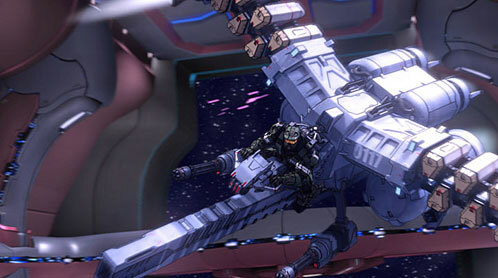 In our opinion, Halo is not objectionable for a well-adjusted, mature child under close parental supervision. Other parents may disagree, of course, but for us, the good outweighs the bad by a large margin. After becoming hooked on Halo after playing Halo 3 and Halo Wars, we were extremely excited about the release of Halo 3: ODST. We had watched previews, viewed trailers repeatedly, and it was definitely a "release day" purchase for us. We decided that the deal was the best at Toys R Us, which was offering a store credit and, best of all, a free Rookie action figure! Alas, the Rookies were all sold out by the time we arrived at school. Connor was crushed, but the whims of marketing were in our favor, and we took advantage of a sale on Halo Mega Bloks to heal his wounded heart. We walked out of the store with a copy of ODST and an armload of tiny plastic Spartans and adorable Coventant troops. ODST was the first Halo game that Connor and I played through together from start to finish. We had an amazing time playing, sitting on the couch next to each other for many hours. 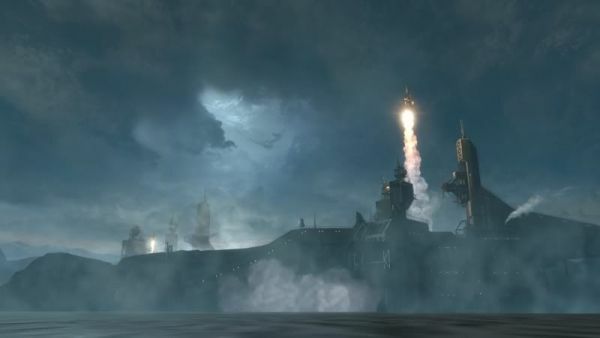 Though some lamented the outdated graphics engine, I still think ODST has the best storyline in the series, and of course the addition of Firefight gave it some serious legs. Connor was a great partner, and easily held his own as we played through on normal difficulty. It seemed like each trip to the store brought more Mega Bloks sets into our house. For months, tiny plasma rifles, backpacks, and other accessories were strewn through the house, which drove my wife nuts. 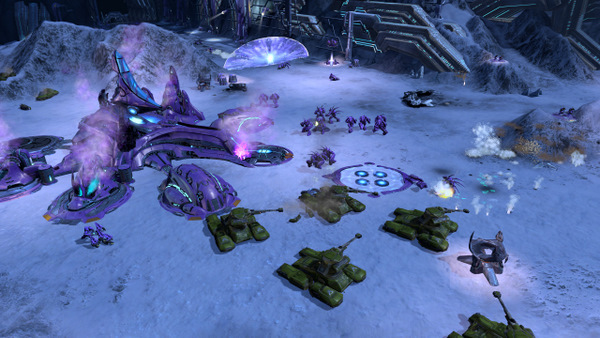 Adding to the Halo fervor was the release of Halo Legends. Connor watched his favorite stories from that anthology over and over again. His favorite was The Package, which featured his idol, Master Chief. Since we had never played the first two games in the franchise, watching the movie really filled in the blanks for us, adding to our enjoyment of the games. This lead us to playing through most of the first Halo, though we stopped when the HD remake rumors sprang up. But the best Halo experience of all came last fall with the release of Halo Reach. We marked the release day on the calendar, counting down the days. Nick surprised us both when he sent us a copy of the Legendary Edition; my jaw dropped when we opened it, and Connor freaked out and ran around the house in glee. After a few hours of playing, it was clear that Master Chief was no longer the greatest Spartan ever; instead, Noble Six, who didn't have the advantage of scientific augmentation, was as cool as cool could be.